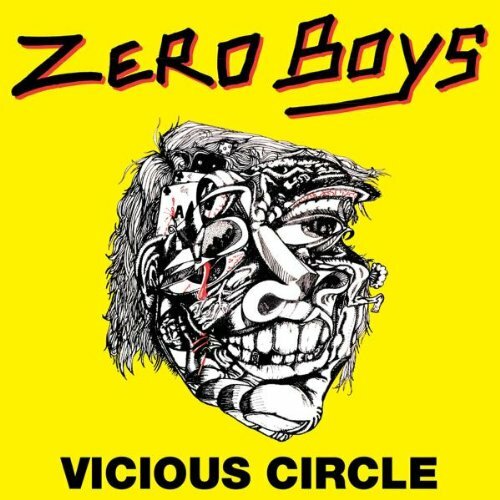 2010 has been a great year for new music but ironically one of my favorite records this year comes is 1982’s ‘Vicious Circle’ from Indianapolis punk band Zero Boys. I’ve been meaning to post something about this album since they flashed up on my radar after The Hives covered ‘Civilization’s Dying‘. The album is loud, fast and raw. It’s hard to fathom how they are largely unrecognized today, especially on hearing ‘Trying Harder’, ‘Amphetamine Addiction’, ‘Civilizations Dying’ or ‘Livin’ in the 80s’, the later two could quite easily have been anti-establishment anthems for a generation. This is on a par with anything from the punk era, like a marriage of Dead Kennedys cynicism and The Ramones melodies it still sounds slightly dangerous almost 30 years later. It’s bizarre how unknown they are but I’m delighted to have found it, albeit 28 years later.